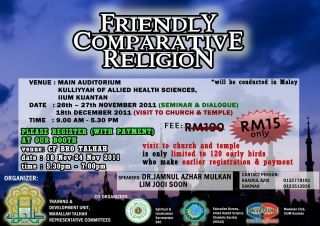 Dear IIUM Kuantan students, for your information, this upcoming weekend will be upbeat with a Friendly Comparative Religion Seminar at KAHS. 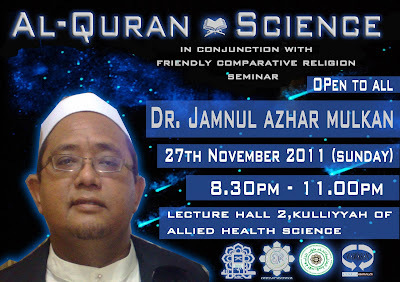 Come and hear what the discussion is all about from two well-known speakers; Ust Jamnul Azhar and Bro Lim Jooi Soon. Involved / involves in several humanitarian missions in Darfur, Indonesia, cambodia and Palestin. Has been invited for many talks and forum around Malaysia, including Halaqah tv9. Then let these speakers ease your way towards better understanding.